Russell A. Woodard, Jr. graduated from Ruston High School in 2004, LSU in 2008, and LSU Paul M. Hebert Law School in 2011. In law school, Mr. Woodard finished #1 in legal writing. Mr. Woodard also served as a member of LSU's "Sports Law" Moot Court team, wherein he and his teammates advanced to the semi-finals. More, Mr. Woodard competed in LSU's annual Flory Trial competition, where he finished 2nd place overall. 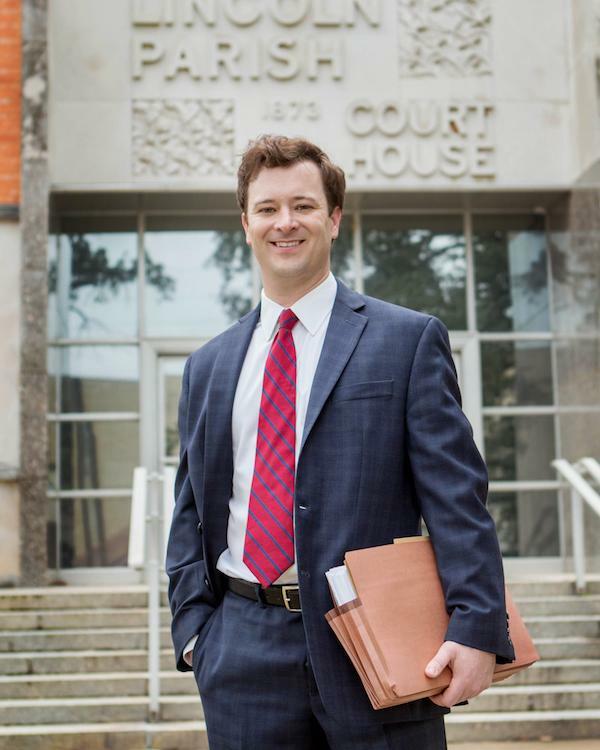 Mr. Woodard is a trial lawyer who has represented clients in every level of proceedings in state and federal court across Louisiana since 2011. From serious and complex personal injury cases to high-profile criminal defense, to high-stakes business litigation in a broad range of industries, to defending publicly-traded companies in class-action litigation, Mr. Woodard obtains justice for his clients in tough cases, often assisting other attorneys to obtain justice for their clients. In short, if you need a capable and aggressive attorney with experience trying cases to a jury in a lead-counsel role, Mr. Woodard is your answer. In 2017, Russell was elected to represent his District in the Louisiana State Bar Association's Young Lawyers Division. Russell was elected to this position by his fellow young lawyers in North Louisiana. Mr. Woodard is also an active member of the community where he has served as a volunteer frequently. He has coached youth baseball and football for years and has served in a leadership role with youth sports organizations. In his spare time, Mr. Woodard - an avid outdoor enthusiast - enjoys hunting and fishing.